The ability to characterize organisms through accurately and rapidly comparing genomic data is an important part of Los Alamos' national security mission. As stopping the spread of disease—from naturally occurring or manmade threats—requires an in-depth understanding of pathogens and how they work. Advancements in technology have fueled the development of new sequencing applications and will flood current databases with raw data. Several factors limit the use of these data currently, including a large number of associated software and hardware dependencies and the detailed expertise required to perform this analysis. 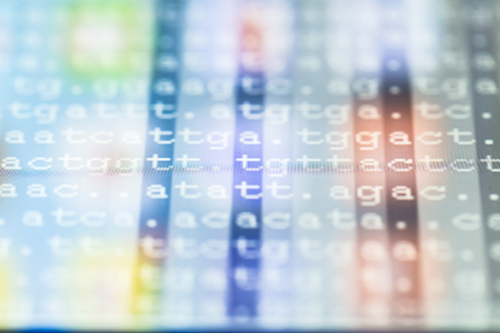 To address these issues, Dr. Chain and his team developed an intuitive, web-based environment with a wide assortment of integrated and pioneering bioinformatics tools in preconfigured workflows, all of which can be readily applied to isolate genome sequencing or metagenomics projects. EDGE is a user-friendly and open-source platform that integrates hundreds of cutting-edge tools and helps reduce data analysis times, from days or weeks to minutes or hours. The workflows in EDGE, along with its ease of use, provide novice next-generation sequencing users with the ability to perform many sophisticated analyses with only a few mouse clicks. This bioinformatics platform is described as an initial attempt at empowering the development of genomics expertise, as its name suggests, for a broad range of applications in microbial research.